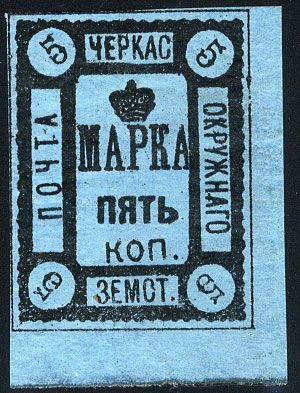 Cherkassy (Don Host Region) zemstvo stamp was issued in 1879. It is a lithographed on gummed paper, imperforated stamp. Used stamps are not known.